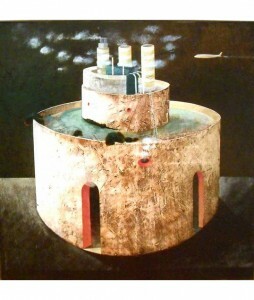 Born in Casalpusterlengo (Lodi) in 1953. 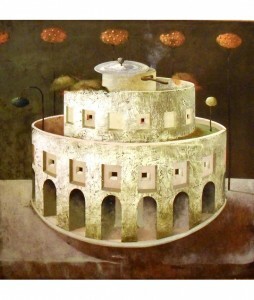 He attended graphic advertising courses in Milan, and since 1969, has exhibited extensively throughout Italy. 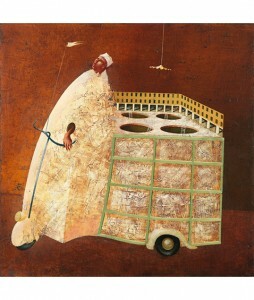 His works are now in private collections in Italy and abroad. 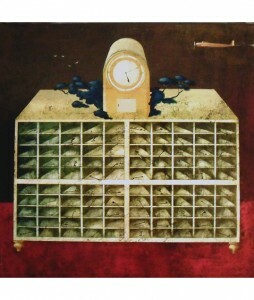 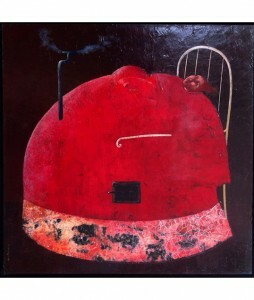 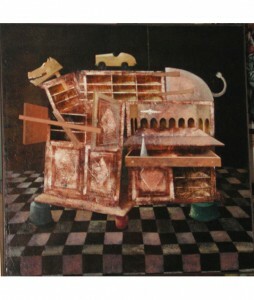 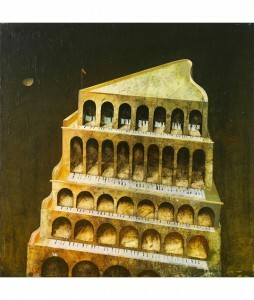 Palazzini’s artwork could be described as surrealistic; it is also full of symbolism. 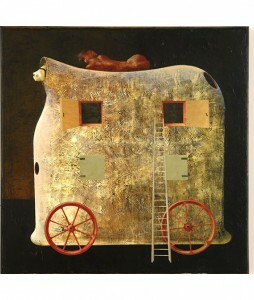 His subtle sense of humor reveals the personality of a very aware and intelligent artist.